OK I can upload photos again. Actually this has happened once before and after a while, I was able to upload photos without having to upgrade the storage. Now it is happening again. Perhaps it was a technical glitch on blogger? 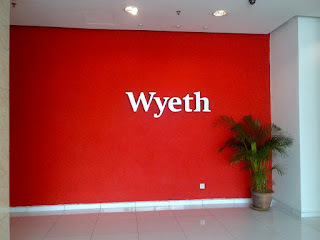 I don't know but I am happy that I can now upload photos. 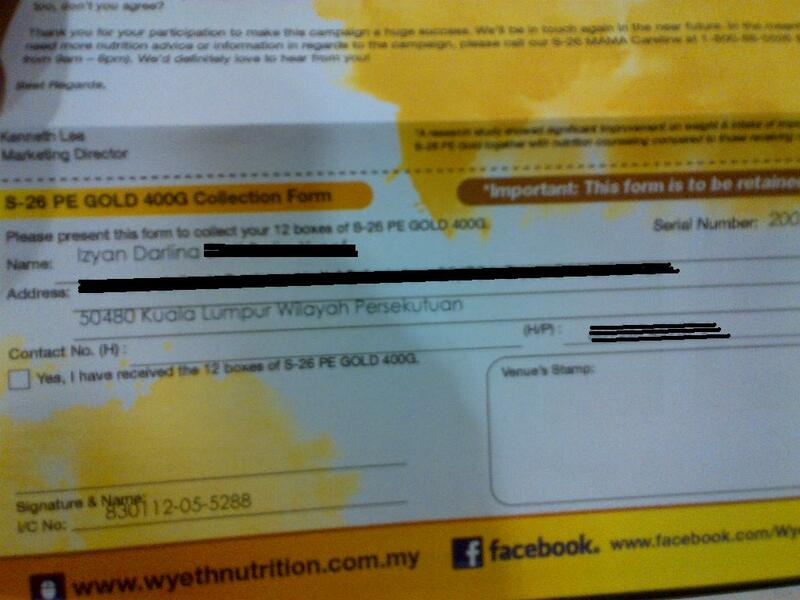 One time I received an sms asking me to reply a YES/NO question to stand a chance to win a milk supply from Wyeth. I don't normally reply to such sms-es but that day I did. 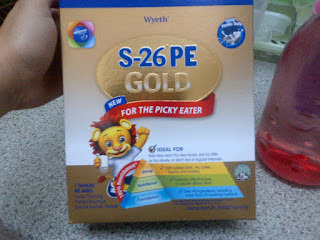 I have forgotten about it until I received a telephone call from a representative from Wyeth telling me that I have won a two months supply of S26 PE Gold. 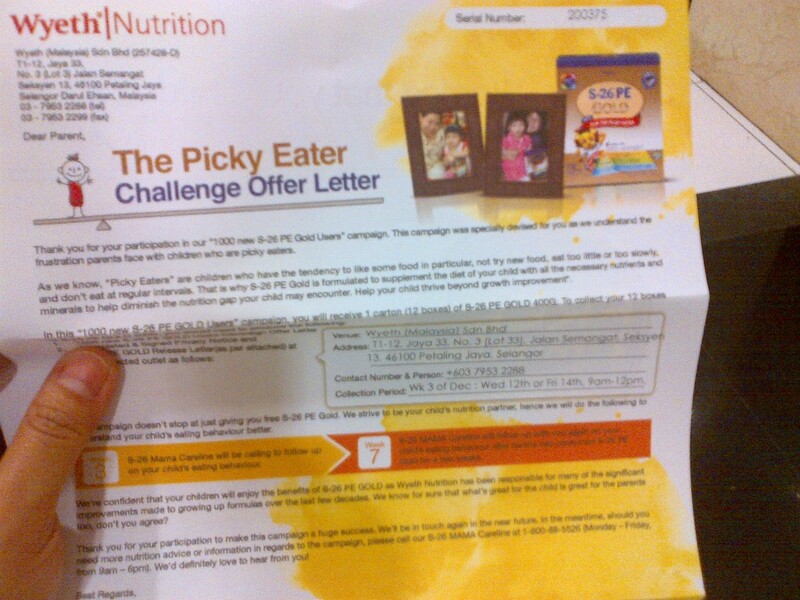 Their letter came not long after. 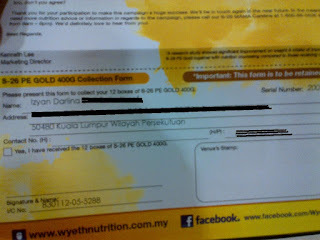 I had to collect the milk myself at Jaya 33 so on 12 December 2012, after attending Court in Shah Alam, I went to Jaya 33 to collect the milk. Jaya 33 parking is horrible. Most parking are reserved for tenants and the visitors parking were full too. I had to make so many rounds to find a spot. In the end, I parked illegally because I was sick of looking for parking. My car is small to fit in anywhere anyway. By illegal I meant not in a proper parking lot. 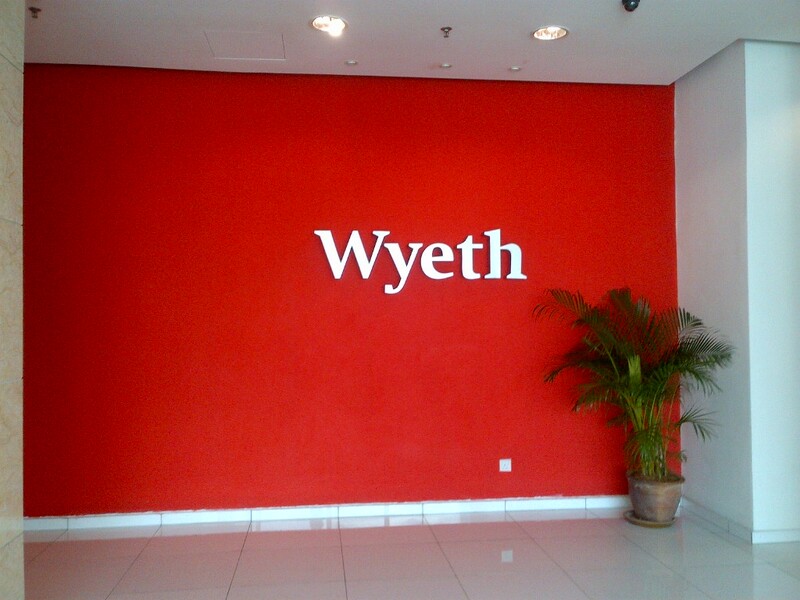 Wyeth's office is on level 12 and it can only be accessed by those with access card so I had to register at the concierge and the lady used her access card to allow me to go up. However, instead of level 12, she pushed level 13 so I had to come down again, tell her and then only she pushed the right floor. The security measures are really strict. This is what I won for Babycakes. 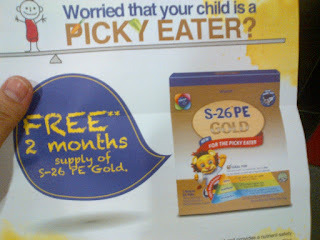 So far Babycakes is not a picky eater, alhamdulillah. She eats basically everything, even without having any teeth. She just recently popped her lower and upper teeth, past 1 year of age. I hope she will like the milk and I hope once the milk is finished, she won't mind switching back to Ducth Lady or Dugro. She's been drinking Dutch Lady since she turned one and she seems fine. I don't see the need to switch to other brands of milk. 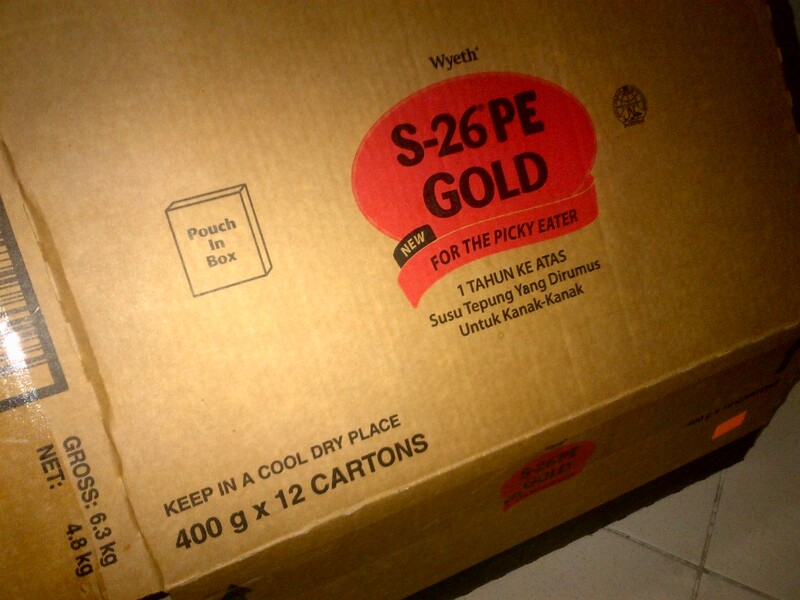 However, it is her rezeki to get a carton of S26 PE Gold.